The introduction of cloud computing services helped the Internet and web-based startups to avoid substantial costs incurred by renting hardware and incrementally hiring other services as opposed to going in full-fledged. They also had the benefit of scaling up as required. All in all, cloud helped these "experiments" lower the investment cost significantly. According to a research done by the Harward Business Review, they combine the data from various sources such as Venture Source, VentureEconomics, Correlation Ventures, CapitalIQ, LinkedIn, CrunchBase, various firm websites and LexisNexis to examine the funding of startups around the introductory period of AWS (Amazon Web Services) in both affected as well as unaffected sectors. The research reflected that startups founded in sectors which directly benefited from AWS raised much less capital in the first round of VC financing after AWS. The initial funding also fell 20% relative to the unaffected sectors. Although, it should be noted that the fall in cost only changed the initial capital required for the startup. 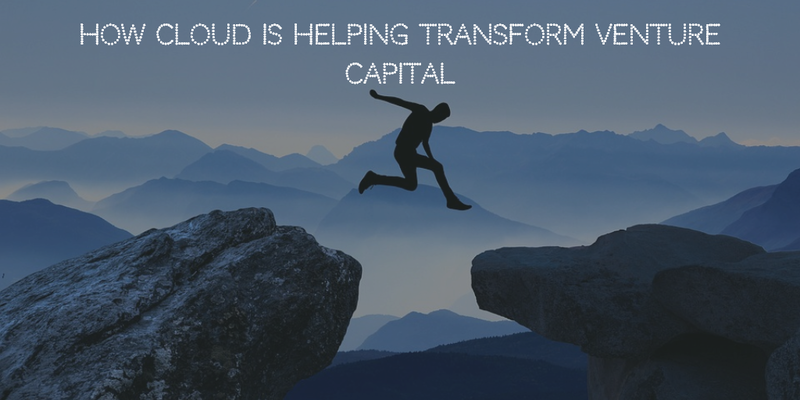 This meant that the effect of cloud services resulted in a significant reduction in the cost of trying an idea, but the funding required to scale a successful business remained the same throughout. It drastically redefined the way VC's managed their portfolios. Some VCs shifted to a technique known as "spray and pray" - meaning they 'sprayed' money in various directions, and 'prayed' that the approach adopted would result in some returns. The sectors which were directly affected by the introduction of cloud saw a decrease in the funds which were dedicated to a startup. They are also likely to abandon their investments after the first round of funding altogether. The decreasing cost of experimentation allowed the VCs to test some entrepreneurs who wouldn't be financed in the first round to receive some early-stage financing, which leads to the democratization of entry into the high tech entrepreneurship. Young and inexperienced people got access to these VCs, and firms which received the second round of funding reported nearly 20% increase in the value compared to startups in unaffected sectors. Though half of these companies were likely to fail, the ones who were successful dramatically rose up in the space. This trend is continuing today. The introduction of cloud, along with other technological enhancements, has to lead to a decrease in the overall cost and an increase in innovation in areas such as biotech, hardware, and even agriculture.